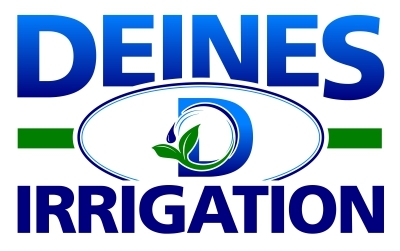 Since 2004, Deines Irrigation has proudly offered the Reinke line of irrigation equipment to our customers. Known the world over for durability, reliability and efficiency, Reinke is the clear answer for producers looking to get more from every field. The Reinke name is synonymous with center pivots. Our design and materials add up to a system that is lighter weight, more efficient and longer-lasting than comparable systems. When a Reinke center pivot or a lateral move system isn’t what you need, you can be sure we have a specialty system that meets every one of your requirements. Whether your field is small, demands frequent light applications or has an obstacle or two, we have just the right system for you. 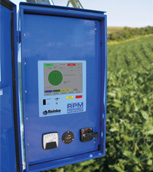 Our line of Reinke Precision Management (RPM) control panels lets you choose your level of control from manual in-field settings to programming pivot operation. MONITOR AND CONTROL ANYTIME, ANYWHERE. The only VRI system with a prescription you can see at the panel. Reinke was the first to introduce GPS technology into the control and management of center pivot irrigation systems in 2002. Reinke was also the first to introduce touch screen technology to our line of control panels in 2009. Now Reinke is the first in the industry to integrate variable rate irrigation (VRI) with Touch Screen control and end-of-system GPS. If you already have a Reinke Touch Screen control panel and Navigator GPS, you can get started without any additional components.